While the over-the-ear and on-ear noise canceling headphones are fairly common, and popular, the in-canal variety are rare. This is mostly because there haven't been too many of such earphones till now. 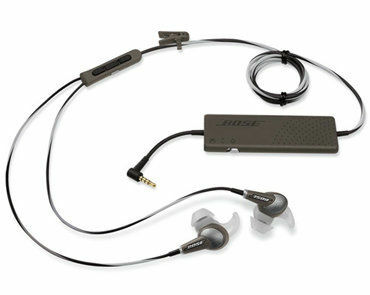 The Bose QC20i is a rather neat option for you, if this is what you had been waiting for. Extremely effective noise cancellation makes this totally worth the money and yes, the version for iOS device users adds in-line call and volume control. Just like how Sennheiser downsized the Momentum’s experience with the Momentum On-Ear, Bose has done the same with the noise cancellation products - bringing the same feature into an in-ear form factor. This makes the OC20i one of the very few in-canal earphones that you can find with noise canceling. The best compromise till now had been to but an on-ear or over the ear headphones, but they weren’t always portable or comfortable. So, will this one suit you better? Let us find out. 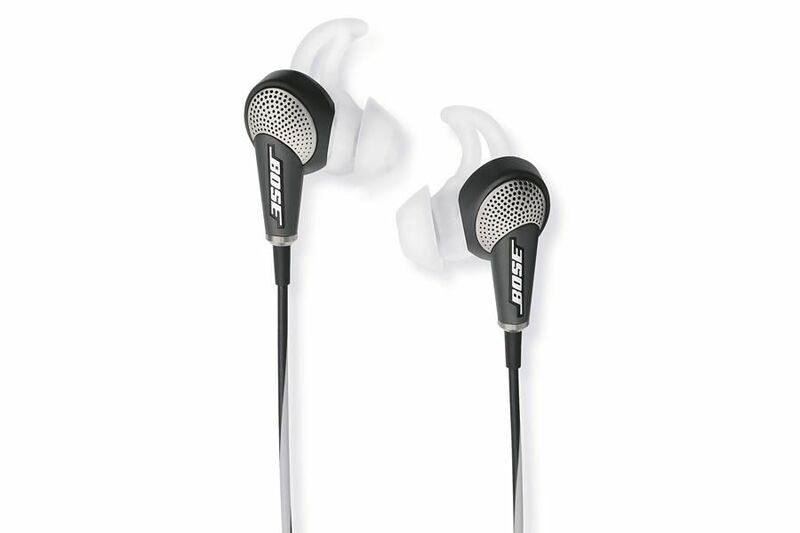 The biggest challenge for Bose, and surely for other headphone manufacturers, would have been to implement the noise cancellation battery and circuitry to be in sync with the overall size and target audience of an in-ear earphone. That challenge has been solved by making a smaller control pod which holds within it the lithium battery pack, the NC control switch, the notification LEDs and is pretty much in-line like the volume controls. The battery can be charged via any micro USB charger, and the tested backup time (14 hours) came pretty close to what Bose claims (16 hours). Unlike quite a few noise canceling headsets, the QC20i will continue to be usable even after the battery runs down. 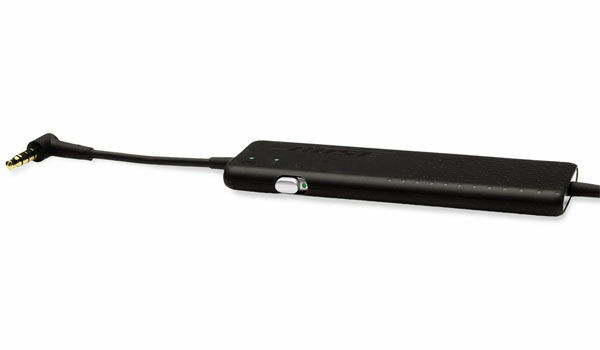 The silver toggle on the battery pack lets you switch the feature on and off, with the green LED acting as a helpful status indicator. The other LED is for the "aware mode", which we will describe in the next paragraph. Getting back to the matter at hand, this control pod also has a micro USB port for charging the built-in battery. To block most outside noise, the QC20i’s Acoustic Noise Canceling depends on two microphones in each ear. The frequencies of ambient sounds are detected, and the reflective sounds are sent according to the need of the hour. The most interesting feature is the Aware Mode, which can be activated via the light grey toggle on the side of the volume control remote, that ramps down cancellation and simultaneously allows you to hear the outside world, but noticeable only when someone in the vicinity may be speaking. However, one thing that immediately catches your attention is the fact that the person sounds very robotic! Overall, for a very portable accessory, to get the noise cancellation feature working so well is clearly a job well done by Bose. The handling of the vocals is extremely good, and the mids are handled very well. For any kind of music that you may be listening to, the vocals will always be extremely clear and will always have a distinct place for themselves on the entire soundstage, without being overshadowed. Being typical Bose, the audio quality is fairly neutral and should appeal to those who do not prefer inordinate amounts of bass. Speaking of which, bass and how much of it you experience, is a story of two halves - told wither with the noise cancellation on and noise cancellation off. When the cancellation is turned off, bass is only really felt at volumes above 50%, irrespective of the genre you may be listening to. We tried out a variety of music, but the volume always had to bumped up to feel that additional element. Switch on Noise Cancellation, and what you get is what you would realistically expect - a lot more elements of the track, that you might not have heard on lower-end earphones. The complete isolation is brilliant, and that actually is positive for the bass as well. Now, even at around 30% volumes, you know something isn’t missing. All in all, these are earphones meant for those who aren’t a part of the demographic that the likes of Beats Audio attracts, because what you get is a much more balanced sound. Bose provides three StarHear tips, in different sizes. Each has a curved wing that you can fix by tucking it in beneath the curve of the outer ear. Even with noise cancellation switched off, the correct sized tips (depending on your ear) block a certain amount of ambient noise on their own. The Bose OC20i cost a lot of money, but for someone who wants to listen to music in complete peace and tranquility, this is one offering that you must consider, particularly if bulky headphones aren’t what you want.